I once went to an outdoor wedding that was planned for an early September day. But a squall came through bringing freezing rain and dropped the outdoor temperature by 30 degrees! The happy couple had no contingency, and guests were wet and cold throughout the entire ceremony and reception! And right next door was a catering hall, which they had not thought to book in case it rained! 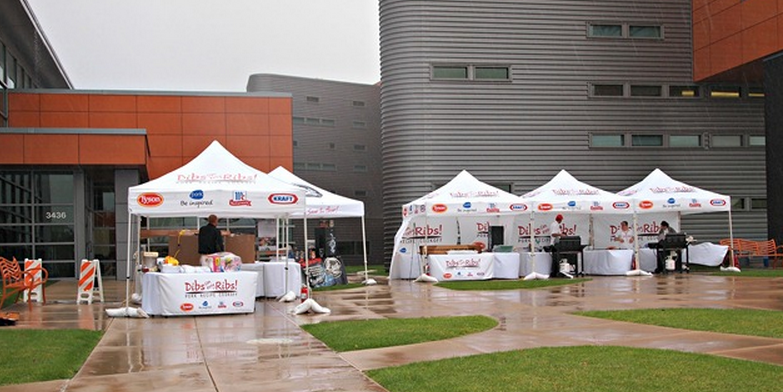 If PIP is planning your outdoor event, whether it be a fundraiser or a expo, you can rest assured we’ve provided for a contingency in case of inclement weather. Call us for a free consultation at 201-939-8601! This entry was posted in Event Teams/Street Teams, Events, Fundraising and tagged Event Management, Non-Profit Event Management, Positive Impact Partners. Bookmark the permalink.